When Adriana Zevenbergen first thought of coming to Australia with her husband Cornelis in the early 1950s she never could have imagined that years later she would arrive at Melbourne’s Station Pier as Australia’s 100,000th Dutch migrant. The young couple considered making the big move before they married in 1953 but postponed their dreams of migrating to Australia for six years. The couple’s adventurous spirit was rekindled in 1957 after receiving letters from one of Adriana’s childhood friends who had settled with her husband and five children in Newcastle, New South Wales. 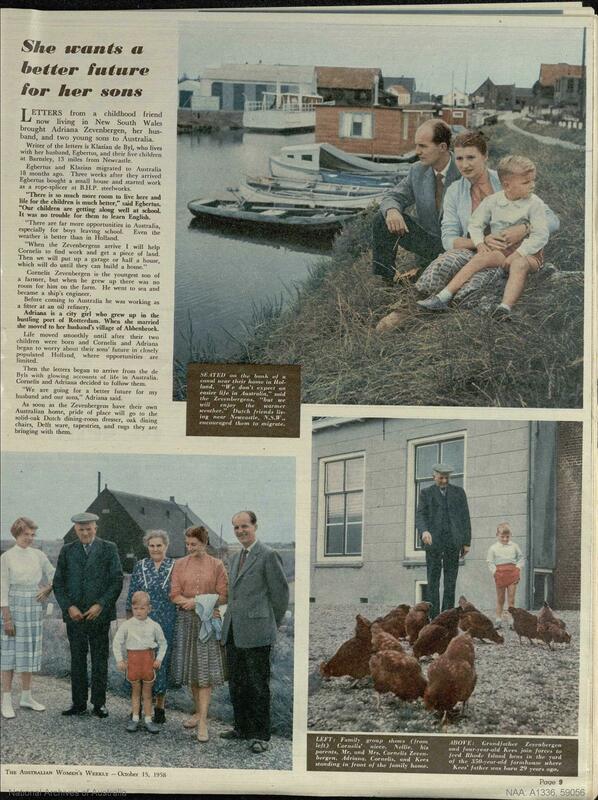 By then Adriana and Cornelis had their own family, four-year-old Kees and one-year-old Addo. ‘We are going for a better future for my husband and two sons,’ Adriana told the Australian Women's Weekly before the family packed up and left for Australia. 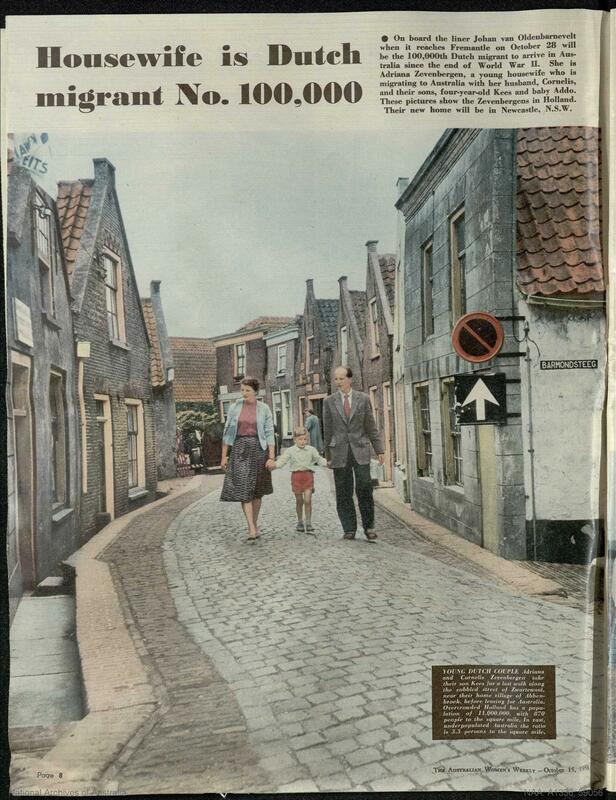 In June 1958 the Zevenbergens submitted an application to the Australian Migration Office in The Hague for assisted passage to Australia under the Netherlands Australia Migration Agreement. The young family typified the Australian government’s image of the type of migrants viewed as most desirable for Australia at the time. Adriana was an accomplished housewife raising two young children and Cornelis was a skilled engineering fitter employed at the Caltex oil refinery. The selection officer described the family as ‘an excellent family group’ who would integrate well into Australian society. As a result, Adriana was chosen to carry the title of Australia’s 100,000th Dutch migrant soon after their application was accepted.